If you thought Google’s Chrome was a showcase for Material Design, you ain’t seen nothing yet. 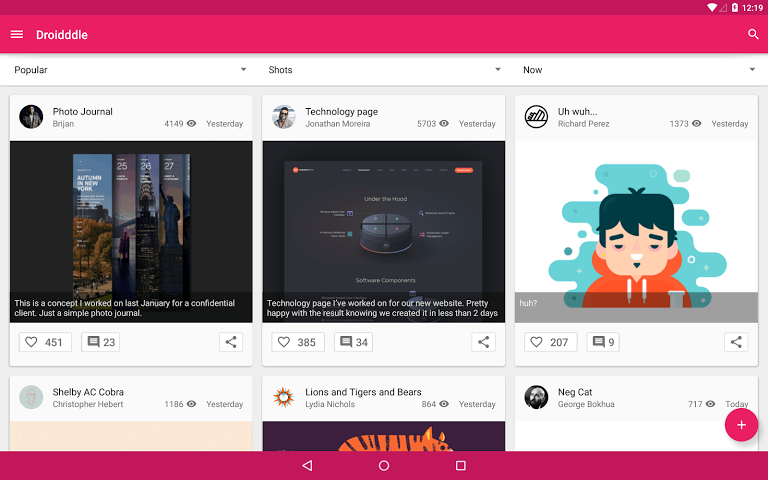 Check out the superior user interface look of these brilliant Material Design apps for Android. We’ve scoured the GooglePlay app store to find the best Material Design Android apps for music, messaging, socializing, organization, design and more. A SoundCloud player that blows the official one out of the water. 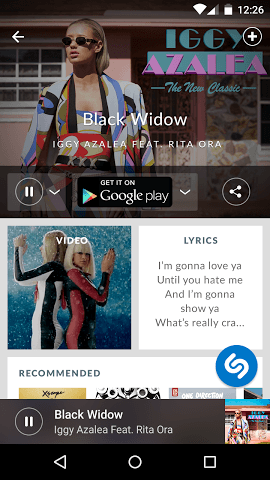 Sleek interface, lots of functions like caching tracks, brilliant transitions and excellent UI. One of the best Android apps to manage your SoundCloud music. Droidddle is a Dribbble.com client. 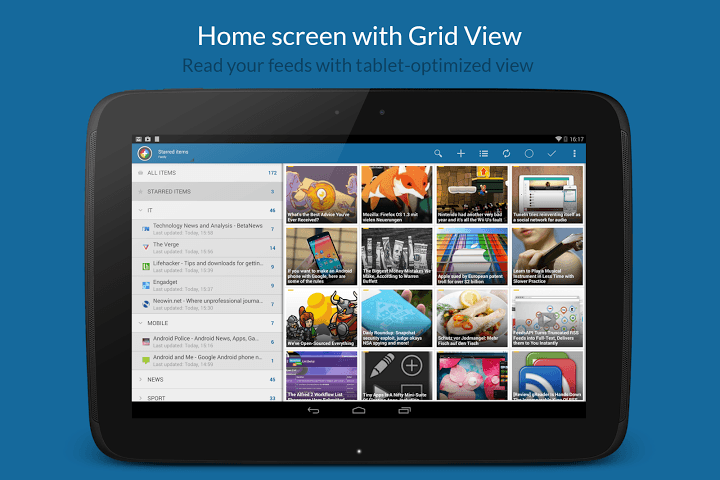 Excellent Android app to browse designs published on Dribbble. 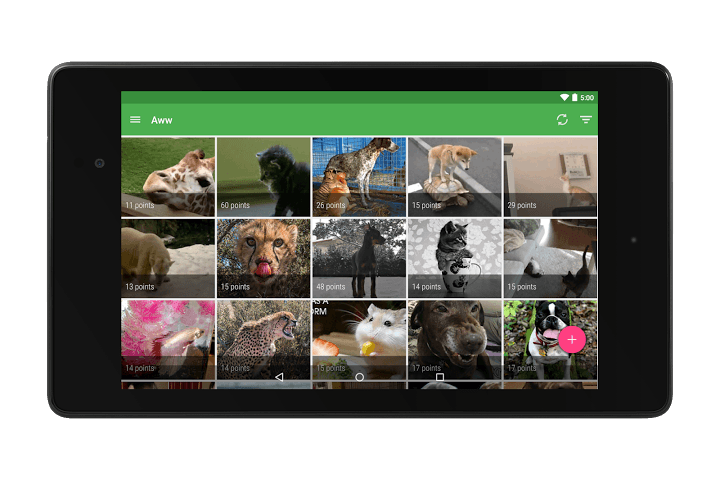 Free intelligent photo gallery app — Lumific, automatically sorts and edits all your photos. 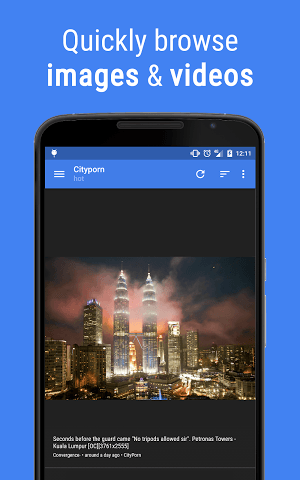 Featuring brilliant Material Design UI style. Falcon Pro 3 is one of the best ways to explore Twitter on your Android device in Material Design UI style. 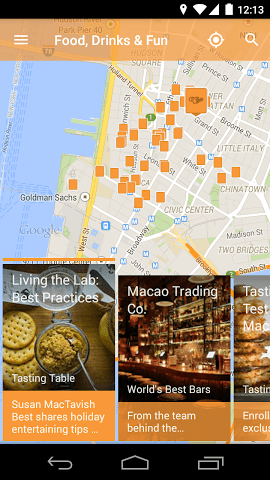 Field Trip is your guide to the cool, hidden, and unique things in the world around you. 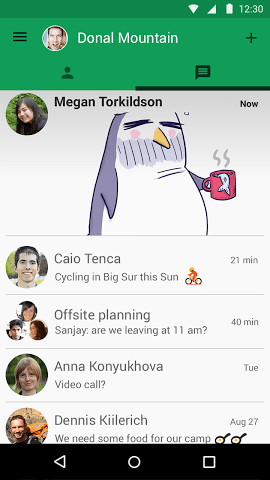 Field Trip have recently been updated with Material Design and improved notifications. A great free podcast app that has a nice Material Design UI and functionality. The developer continues to improve it and make it even better. With this application you can create beautiful slideshows: choose photos from Instagram, Facebook, WhatsApp or your own image gallery. Sort the images, add a title and choose a right music! Then you can share your work. Mediacenter for your Android smartphone or tablet featuring brilliant Material Design user interface. Material Newspaper app for Android allows you to read news from your favourites Blogs, Youtube, Flickr or any web source. Orpheus Music Player app for Android is a brilliant music manager app with refined Material Design style, ease-of-use features and capability. The most complete, beautiful and simple Android app featuring Material Design to follow stock market and financial markets. Organize your tasks, reminders and lists in this simple Material Design App for Android. Open source Imgur client app based on Material Design. Swipe for Reddit is a fast Material Design app allowing to quickly browse Reddit . 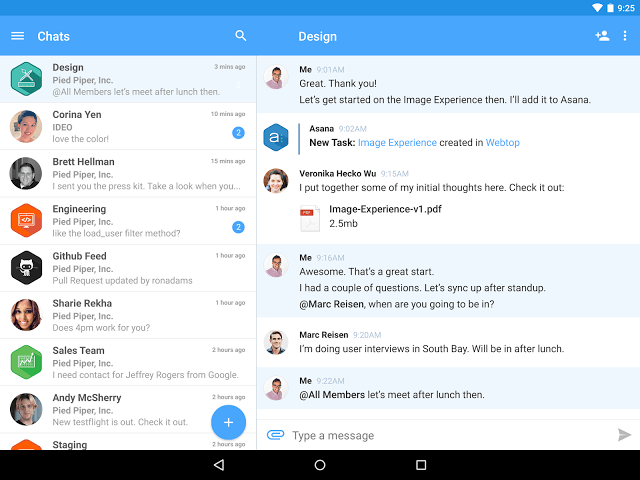 Hall is a business messaging app for coworkers, vendors and clients. Material Design featuring app is integrated with Dropbox and Box allowing users to easily share files from Dropbox and Box accounts. 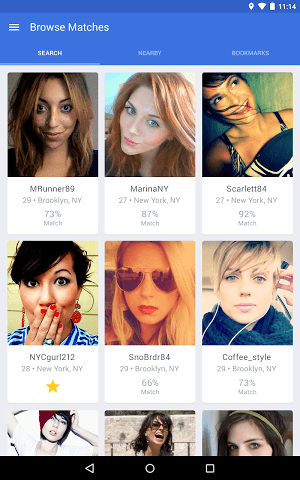 Excellent dating app built with Material Design. Simple, fast and intuitive Material Design UI RSS reader app, the successor of gReader. Evernote has been updated recently with a new Material Design look, among major improvements to note creation, editing, viewing, and search. Excellent and absolutely essential app. Makes it easy to save articles from any webpage and makes them available offline in an easy to read format. 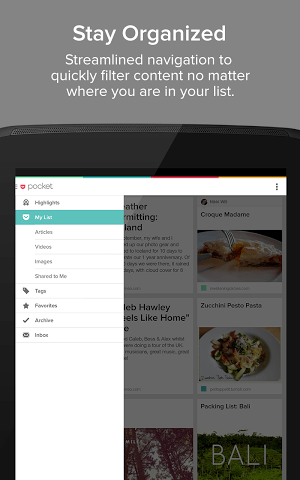 Well-crafted recipes app for Android featuring brilliant Material Design UI. That comes out if you combine WhatsApp and Skype! 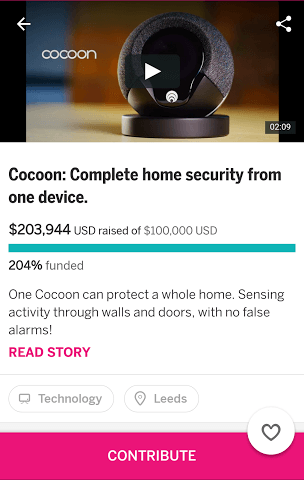 This messenger scores with his free offer and a video chat for up to 10 people! 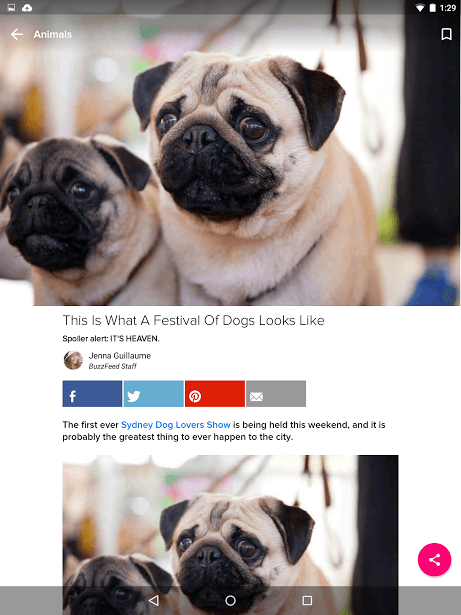 The BuzzFeed app is best way to stay up to date with the latest viral videos, images, links, and buzz while on the go. free-flowing outfits, which had complete gathers and buttoned cuffs.